Hey Friends! I’m busy working on some fun projects to share with you all. 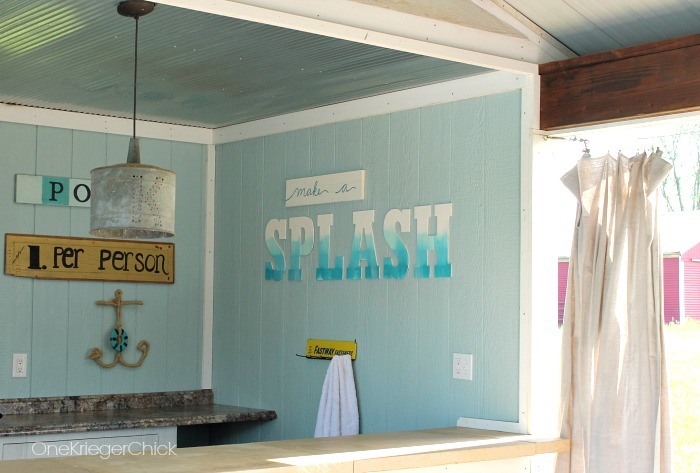 While I do that, how about a peek at some new decor I created for the Poolhouse? 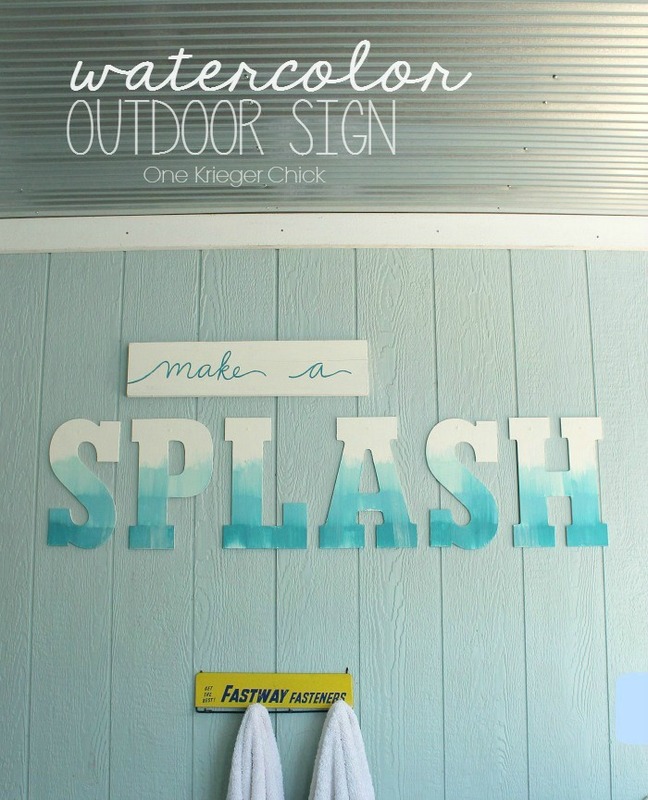 Want to see how I made this Watercolor Outdoor Sign? Head over to SNAP! Creativity Blog where I’m sharing the full tutorial! Hope you’re all having a Fun Summer! Love all the poorhouse decor, especially the ceiling! I’m coming over to house crash and go swimming! I just realized I wrote poorhouse! LOL!!! Obviously I mean Pool House!!! Haha! I’m good translating…I’m used to reading “Kindergarten” where my son spells everything just how it sounds. Too funny! Thanks for the compliments…If you lived closer, you would be more than welcome to come over! Love to have you, actually!